A lot of questions and a lot of answers were posted in this thread. 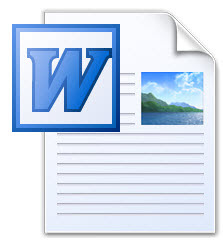 So, I brought together several questions and their answers to a word document, to offer your "question-marked-faces" a better overview. I chose mostly the answers of Dammi, James and Arma because their knowledge of the Third Edition is most credible ........ I guess. After these dates and times, the products shown will no longer be available for purchase from our Lulu storefront (print) or our DriveThruRPG and RPGNow storefronts (ebook). We are still looking into providing a special price for customers who have purchased Earthdawn Classic eBook products with a comparable Earthdawn Third Edition offering. At this time we cannot guarantee anything, but if our plan works out, this will be in the form of a "time-limited, special price coupon" sent out direct to purchasers of the relevant books at DriveThruRPG and RPGNow. It would be prudent to ensure that your account details are correct on these stores, just in case. "To sweeten the wait for the release of the first two Earthdawn Third Edition core rulebooks, the Player's Guide and the Gamemaster's Guide", the previews of the Third Edition came and still come up every monday. The previews cover in every edition a topic to make clarifications about the changes, the new system and the improvements that come along with the Earthdawn Third Edition. Although it wasn't announced yet, we also get to see a preview of the content of both books. And guess what? Yes every preview had a seperate thread in the forum, where new questions, comments and shoutings were posted. But I didn't make a word document out of those questions about the previews, because I think that every aspect of the previews and the questions that came up will be cleared, when the books will be published. And now the basic question: When will the first books of the Third Edition be published? Well I read in the forum that someone pre-ordered the books via amazon.de .com or wherever and that amazon stated the delivering date at 7/21/2009. But today I had a look at amazon.com and they state the 15th of July. But all of this remains speculation until an official release date is announced by RedBrick or Mongoose, but be sure it's not far away. So I hope your "question-marked-faces" were enlightened a little bit. 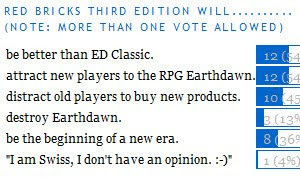 I am sure that the decision of RedBrick to make a new Earthdawn Third Edition was the best publicity for the Earthdawn RPG since years and will provide us an easier gaming in future. Finally: Earthdawn forever, baby!! or Earthdawn everywhere, baby! !